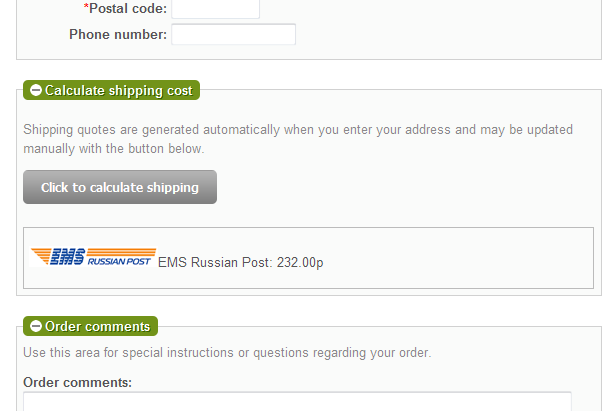 I've just created EMS Russian Post shipping module. It will be useful for store owners in Russia. The module supports delivery price calculation outside Russia (and in Russia, obviously). 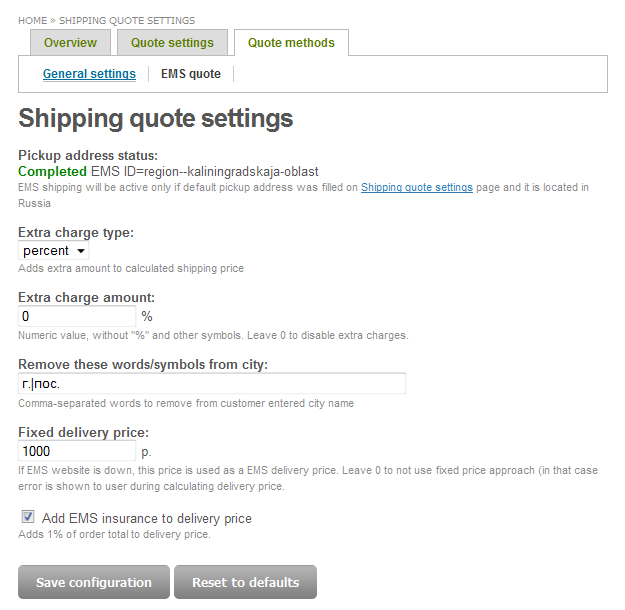 Caching was implemented to minimize requests to EMS Russian Post website. There are some advanced settings, like extra charge amount (calculated against total delivery price) and fallback-price (used when EMS website is down). Some simple cleanup and normalization techniques were used to minimize errors in user entered city names.